ESCANABA — OSF St. Francis Hospital and Medical Group Adult and Child Sleep Diagnostic Center in Escanaba recently received program accreditation from the American Academy of Sleep Medicine. To receive accreditation for a five-year period, a sleep center must meet or exceed all standards for professional health care as designated by the Academy. These standards address core areas such as personnel, facility and equipment, policies and procedures, data acquisition, patient care, and quality assurance. Additionally, the sleep center’s goals must be clearly stated and include plans for positively affecting the quality of medical care in the community it serves. 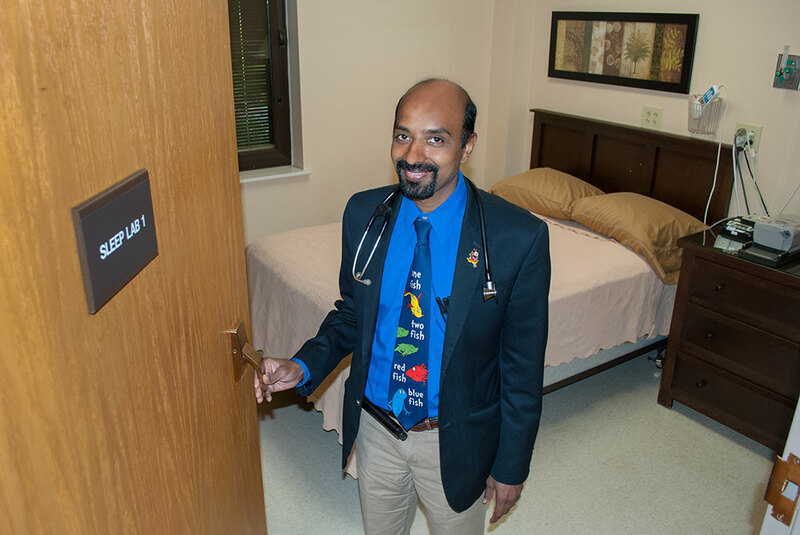 OSF St. Francis Hospital and Medical Group Adult and Child Sleep Diagnostic Center is directed by Raghu Kasetty, MD, and offers state-of-the-art technology for the treatment of sleep disorders. Conditions that are diagnosed and treated include sleep apnea, narcolepsy, periodic leg movements and hypersomnia. “We are extremely proud to have achieved this level of accreditation. We will continue to align our mission to provide safe, quality health care, exceptional patient experiences and services that improve and support a healthy community,” adds Paul Capodilupo, Manager of Cardiopulmonary Services. Share the post "OSF Diagnostic Center receives program accreditation"
Categories: Business Announcements and Delta County.